Enjoy your best vacation ever. 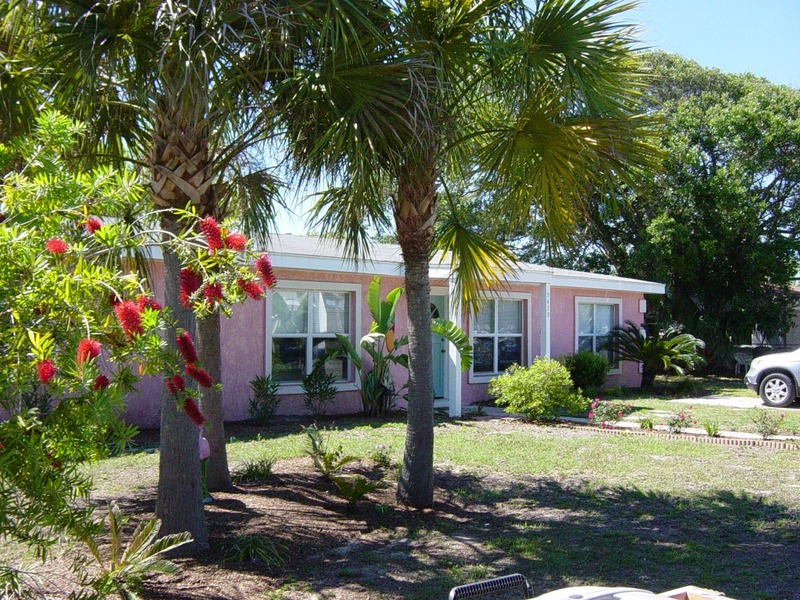 This beautiful , totally remodeled three bedroom, 2 bath home is in a quiet and safe Florida beach community on a double lot with a huge, privacy fenced backyard. You are just a short, easy walk or bike ride to the beach, the intra-coastal waterway public boat ramp and Windswept beach park. 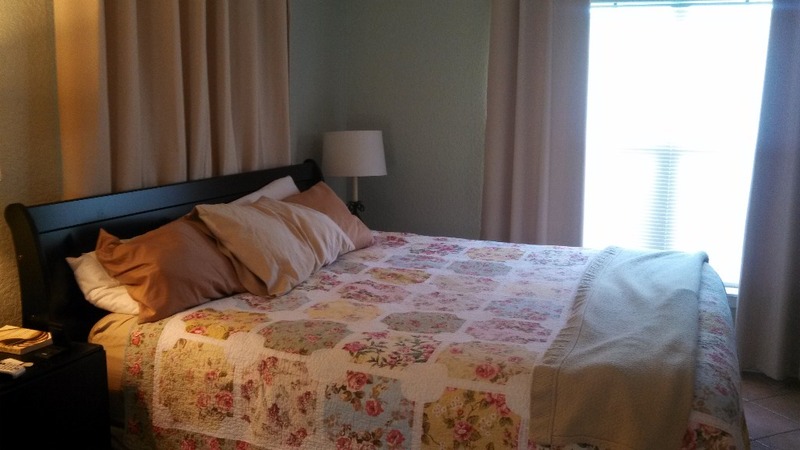 Two of the three bedrooms have extremely comfortable King and Queen Beds (could be two masters for two couples) and one bedroom has two twin beds. There is also a sleeper sofa in the sunroom if you need it. 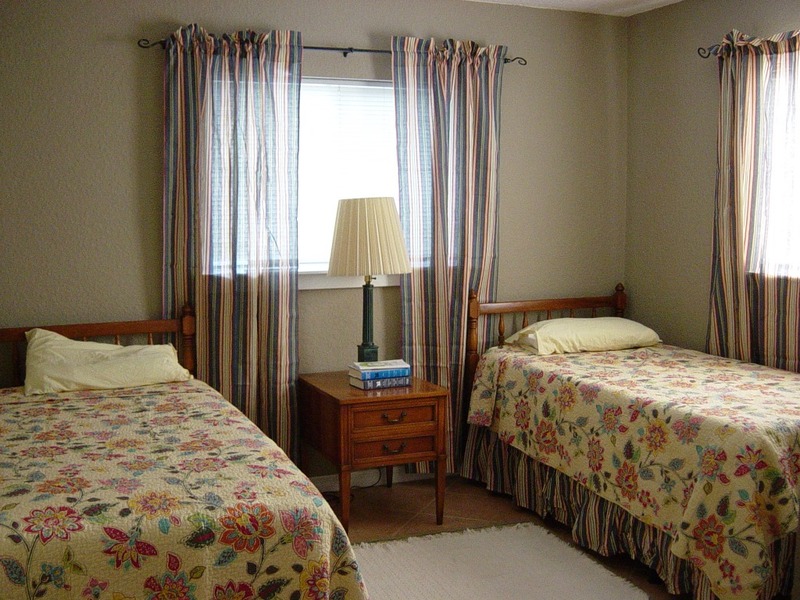 The bedrooms are located on opposite ends of the house for your ultimate privacy. This house can easily sleep up to 8 people. 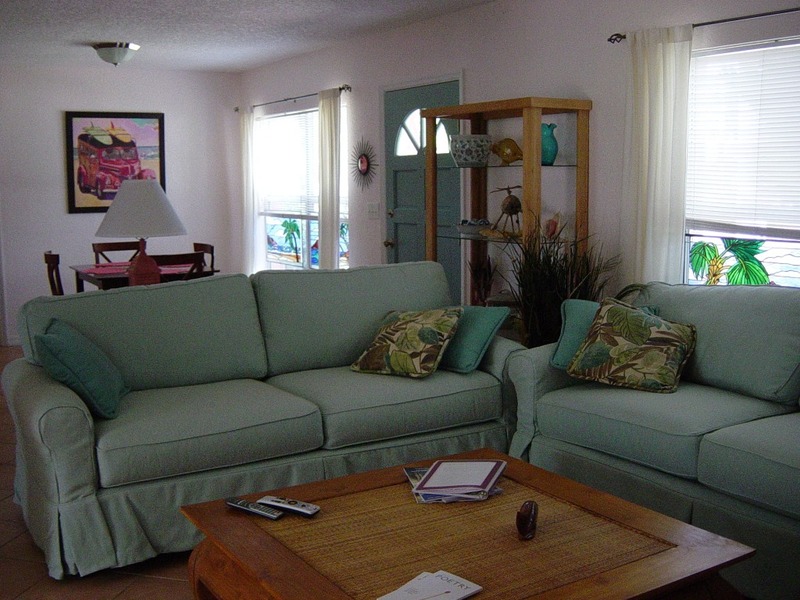 Our home is fully equipped and very well decorated. A large kitchen allows you to easily prepare meals at home when you choose, although you are surrounded by many incredible restaurants and walking distance to The RedFrog Grill and Pub. Enjoy the 55“ flat screen LED HD satellite TV, wi-fi, and BluRay DVD player. There’s even a stocked desk if Mom or Dad need to do a “little” work while away or just write postcards. Bring your boat or kayaks and launch from the public boat ramp into the intra-coastal waterway, just four blocks from you. Or….walk 7 minutes, bike 4 minutes or drive less than 1 minute across to the best and widest drive-on beach on the East coast. We are located just four blocks across the street from the Mantazazs drive-on ramp. One block away you’ll find Windswept Beach park with a beautiful new playground for the kiddies and an outdoor exercise gym. When you return back home, you, the kids and dog can enjoy sunning and playing in the huge, privacy fenced backyard until time to watch sunset over the intra-coastal waterway. (You can watch from the backyard or join the neighborhood with a comfortable walk to the boat ramp.) We’ve provided lots of little extras to make your vacation memorable and fun. Play volley ball, badminton or horseshoes in the huge backyard, take the boogie boards to the beach and go for a bike ride. And in the evenings you can share your memories of the day around the fire pit. We are only 10 miles from Marineland and 7 miles from historic downtown St. Augustine, the oldest city in the United States. St. Augustine was founded in 1565 and attracts many admirers to it’s Spanish Colonial Architecture. More than 300,000 visitors a year savor the pleasures of this grand city. Visit Ripley’s Believe it or Not, Flagler College, the famous Castillio De San Marcos Fort, St. George Street and all of its shops and open air restaurants, the Alligator Farm, The Fountain of Youth, Potters Wax Museum, Ghost Tours, Horse Drawn Carriage Rides and San Sebastian Winery. We are only 5 miles from the St. Augustine Beach Pier (Farmers Market/Craft Show every Wednesday morning) and the St. Augustine Amphitheater (Saturday morning Farmers Market and lots of top notch world famous music). You will find almost 300 discount premium outlet shops in two convenient malls for a great shopping experience only 20 minutes away. Golf is minutes away at the world famous World Golf Village and Hall of Fame among many other World--class golf courses. Orlando/Disney attractions are 1.5 hours south as is the Kennedy Space Center. 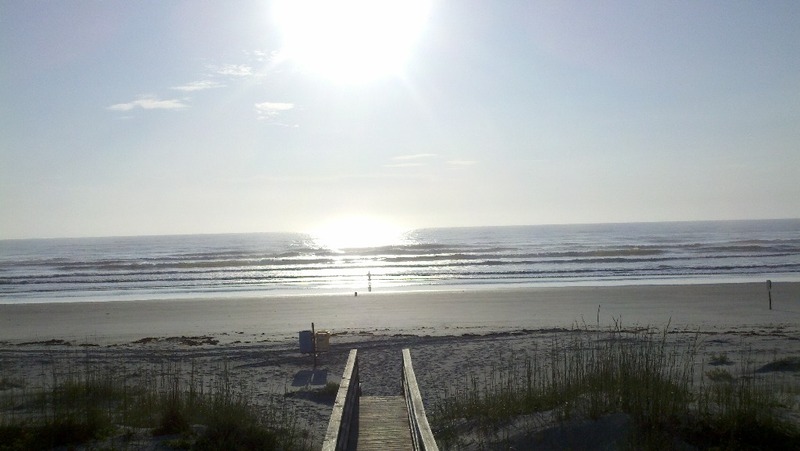 Daytona Beach, famous on it’s own and the Daytona 500 race track is only 30 minutes away. Jacksonville, with all of its cultural events is less than an hour north. We are out of state owners but very “hands on “ with our property visiting several times during the summer months and living here during the winter. Local friends help us maintain this lovely home and are available immediately should you need assistance. We love sharing our home and you will find that we provide lots of homey extras. 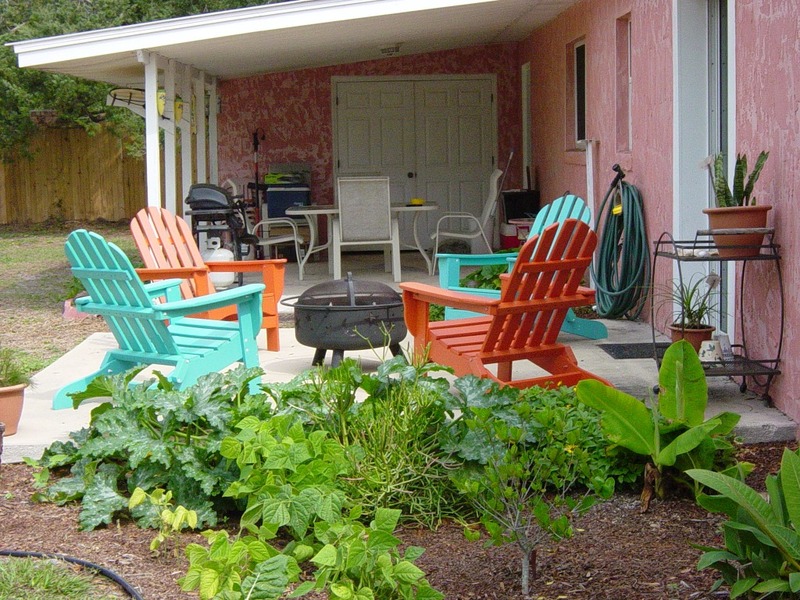 Whether it’s flour, sugar and tea bags in the kitchen, or beach chairs, or our bikes, we want you to relax and enjoy our home and your St. Augustine vacation experience. We want you to return year after year. Located off A1A and Palmetto Street. Mickler. This is a well established subdivision with full time and vacation residents. It is quiet and well maintained. Located on Anastasia Island. There are no stairs into or in the house. There are no handicap bars in the baths. Security Deposit: 200 damage deposit refunded within ten days after checking out.